International travellers are likely to fly to Kigali which has flights or connections to several African and European destinations. A useful flight is on KLM from Amsterdam to Kigali, Entebbe in Uganda and return to Amsterdam. There are regular flights from Kigali to Entebbe and Nairobi. You should note that plastic is not welcome in Rwanda and plastic bags with duty-free items will be confiscated on arrival at Kigali airport. The road can also make entry to Rwanda at several border crossings. The road is metalled from the Ugandan border to Kigali, and this provides a route from Bwindi in Uganda. 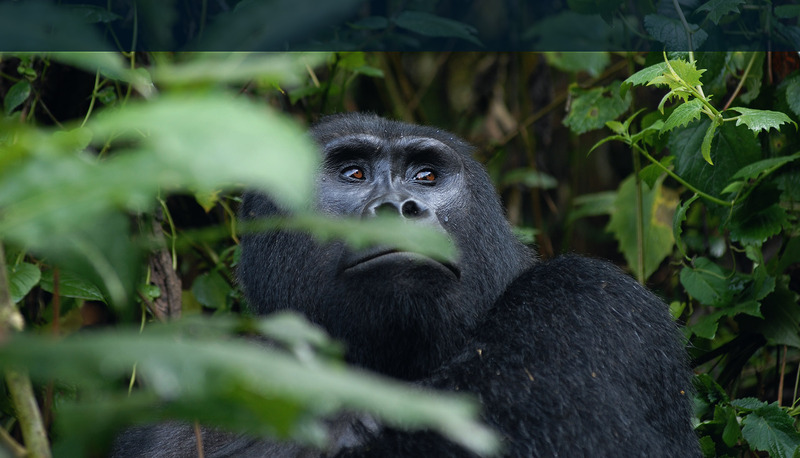 For birders and other eco-tourists, therefore, it is convenient to visit both Rwanda and Uganda, flying into to one country and departing from the other with road connections between the main national parks in both countries. A passport, visa for nationals of some countries and evidence of yellow fever vaccination are required for entry. Visas are not required for UK visitors, but it is worth checking your requirements with your local embassy. Rwanda is a small country with a good network of tarmac roads and frequent and generally punctual buses. Public transport is, therefore, more straightforward and quicker than elsewhere in central Africa. Nyungwe is easily reached by bus from Kigali (4 to 5 hours). Car hire is expensive. 4×4 is even more costly and may not be strictly necessary for the more frequent destinations in the west of the country, but could be helpful in Akagera. Taxis are plentiful in and around Kigali and the airport. French and, increasingly, English are widely spoken. By the standards of African capitals, Kigali is safe and well organised, though visitors should take care at night and beware of pick-pockets. The events of 1994 are long past and should not deter visitors. The border with DRC is safe, though the Burundi border is uneasy. The Rwandan Franc (RF) is the currency in Rwanda. It is divided into 100 centimes. Rwandan Francs can be bought for $US, Euros and £UK at Forex bureaus. Foreign currency can also be exchanged at Kigali airport on arrival although the rate is unlikely to be as good as Forex. Some of the larger hotels will also trade or allow payment in foreign currency. The US notes earlier than 2006 may be unacceptable in Rwanda. Currency notes attract better exchange rates than traveller’s cheques. A range of food is available in hotels which should suit most tastes. Lodges in the national parks provide a set meal or selection from a buffet. Bottled water (500mL, 1 L, 1.5L) is recommended and can be purchased in supermarkets in the main towns as can soft drinks. 500mL bottles of cold beer are also widely available. Wines and spirits are also available at the more up-market places and lodges but can be expensive. Be aware of the risk of malaria, seek current advice, sleep in a sealed tent or under a net and take precaution as recommended. Always ensure you have sufficient water and some method of purification (even if this comprises a pot and a campfire for boiling). Do not under-estimate the danger of being in the sun too long. Ensure you use sun-block and drink plenty of water, and wear a hat. The incidence of HIV/Aids is relatively high Ensure that you take a reasonably-equipped first-aid pack with you including a supply of hypodermic needles.